VHDA Foreclosure. 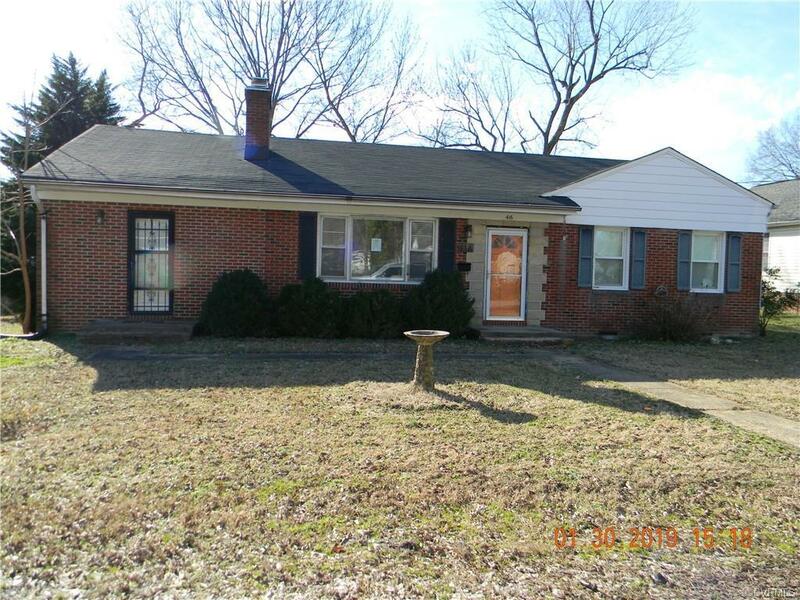 All brick ranch with 3 bedroom, living room, dining room, and family room. One full bath on main level and full bath in partial unfinished basement. Detached shed and rear chain link fence. Property sold in as is condition. No warranties expressed or implied. No seller paid repairs,inspections, or treatments, Existing appliances not owned by VHDA, and will not be removed.This home has great remodel potential.